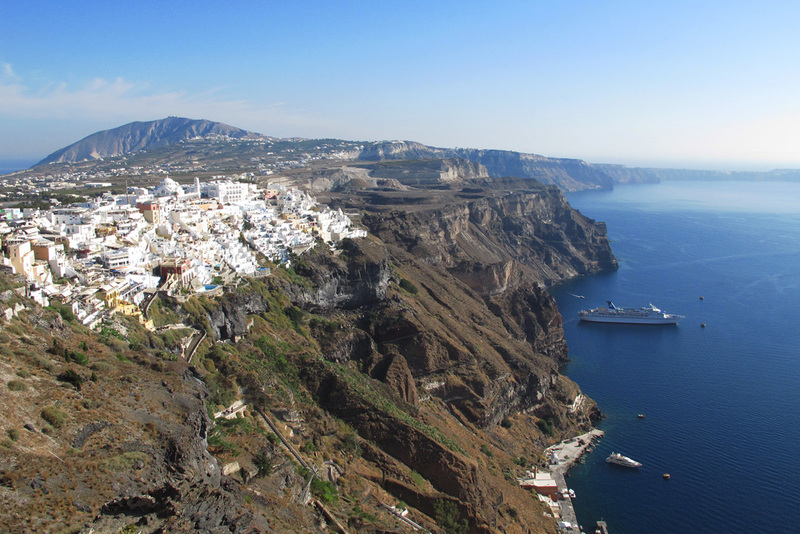 While the black sand beaches, luxurious hotels, and local wines of Santorini lure thousands of travelers to the island each year, it’s the geography that is the most compelling reason to visit. 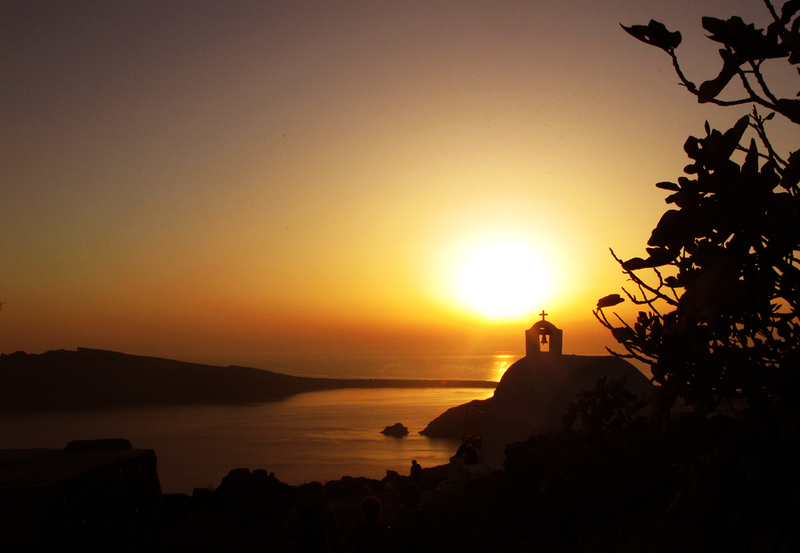 Santorini is essentially the remnants of a massive volcanic eruption that took place nearly 3600 years ago. 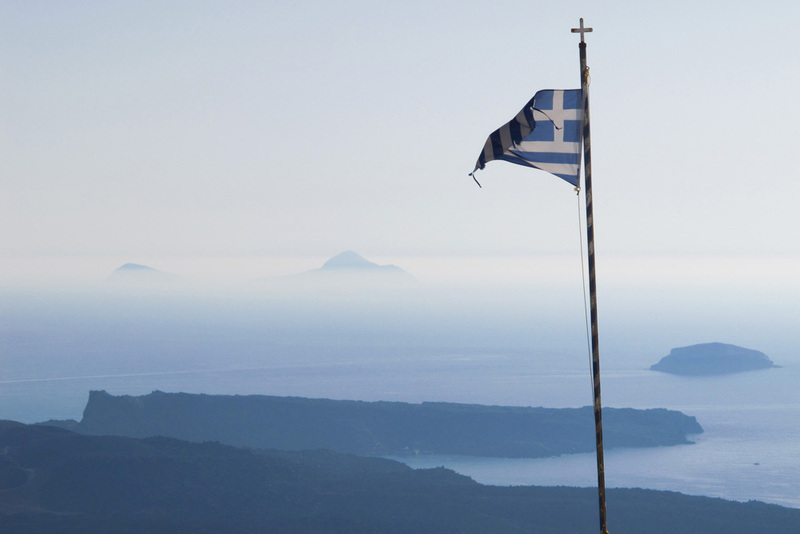 That explosion left behind just a fraction of the island that once existed while the rest became ash or sunk into the sea. 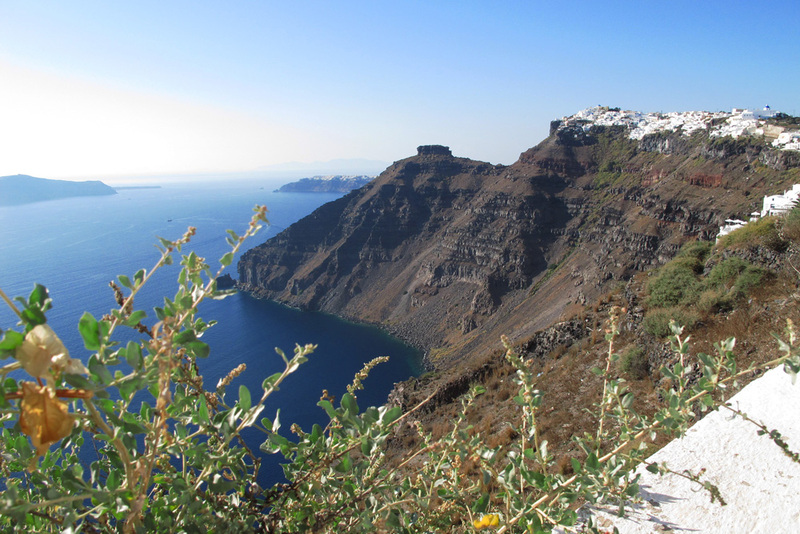 Santorini’s curved massive cliffs make up one small portion of the enormous volcanic caldera. 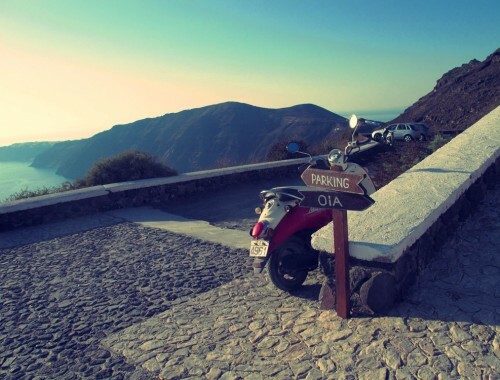 Oia, all the way at the very tip of the island. That’s 12km away. When visiting a unique place like this, you must get out and see it on foot. 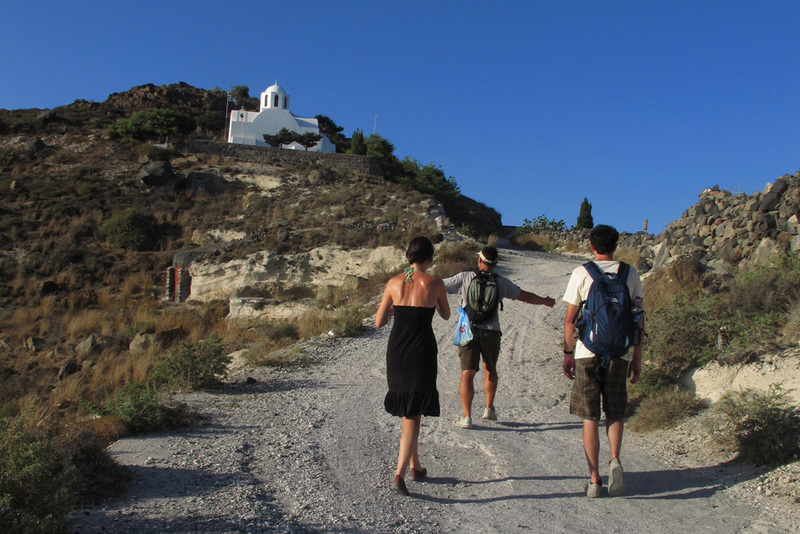 I recommend walking the 12 kilometer caldera rim that connect the town of Oia to Thira (or Fira) – it will give you 360 degree views into the caldera and out into the flatlands as well as a chance to get to know the island away from the major points of interest. 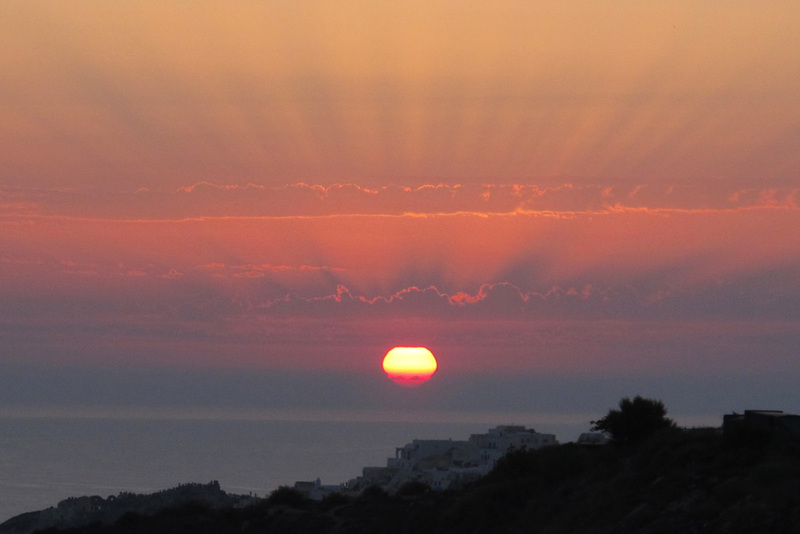 Our plan was to walk the trail in the late afternoon from Thira to Oia in hopes of making it to Oia in time for one of the town’s world-famous sunsets. 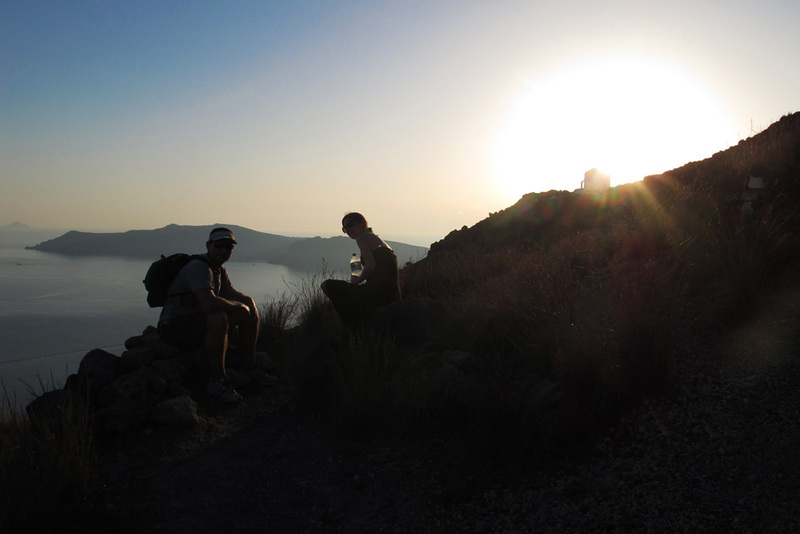 This hike, along with the company we had on the trail, was the hands down the highlight of our stay in Santorini. 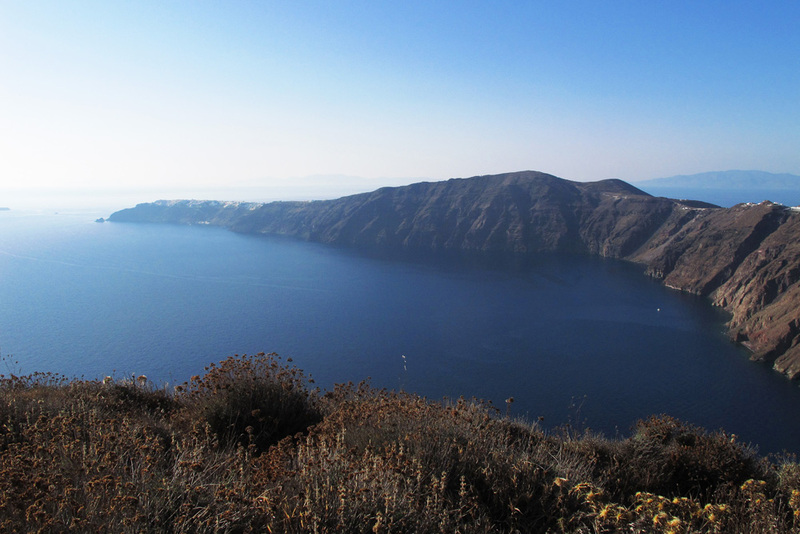 While one side of Santorini is a caldera cliff, the otherside is a gradual slope into the Mediterranean Sea. 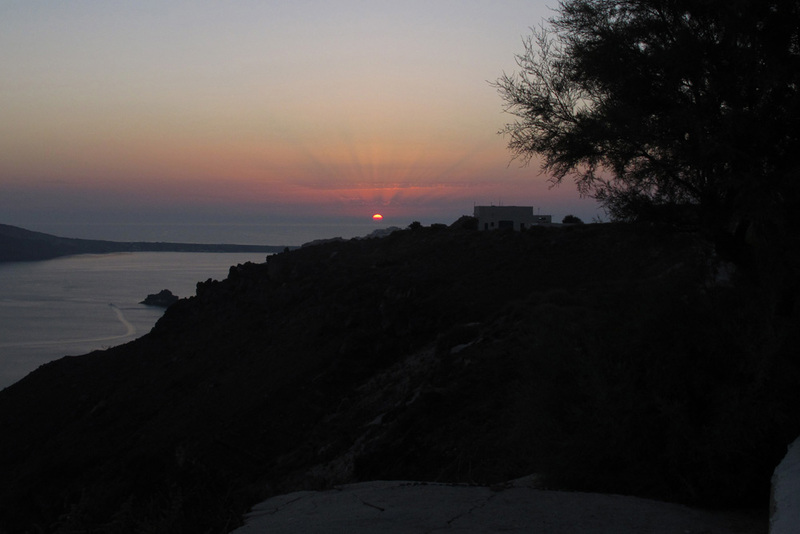 Just as we arrived in the outskirts of Oia, the sun started to set into the Mediterranean Sea. 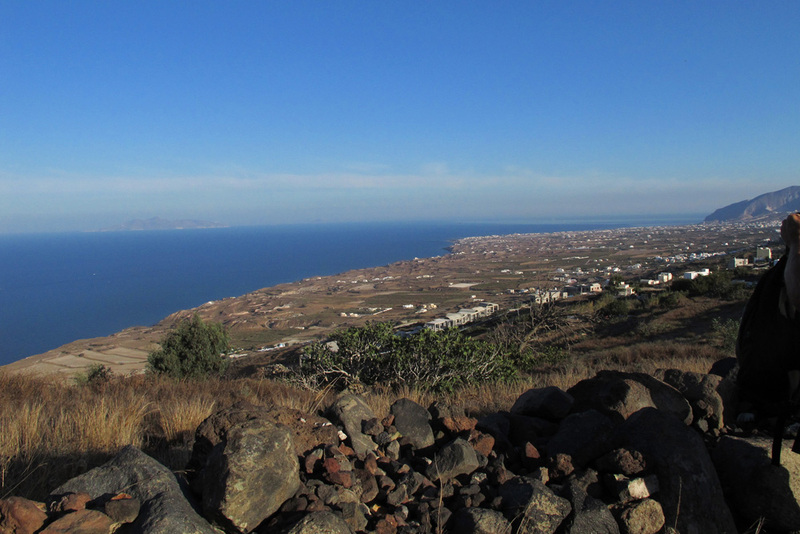 The Santorini Caldera Hike isn’t particularly difficult, however I would recommend wearing good running or hiking shoes. Flip flops are not ideal. 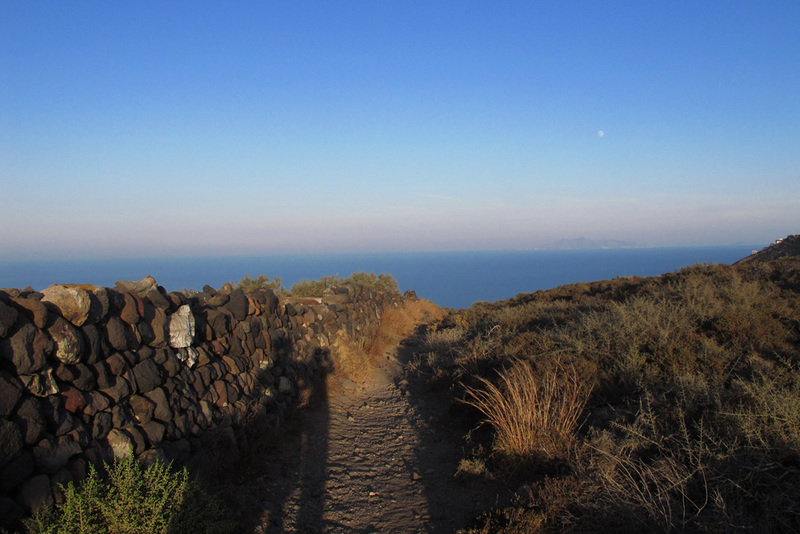 The hike takes a few hours, so start the walk in the late afternoon in order to make it to Oia by sunset. 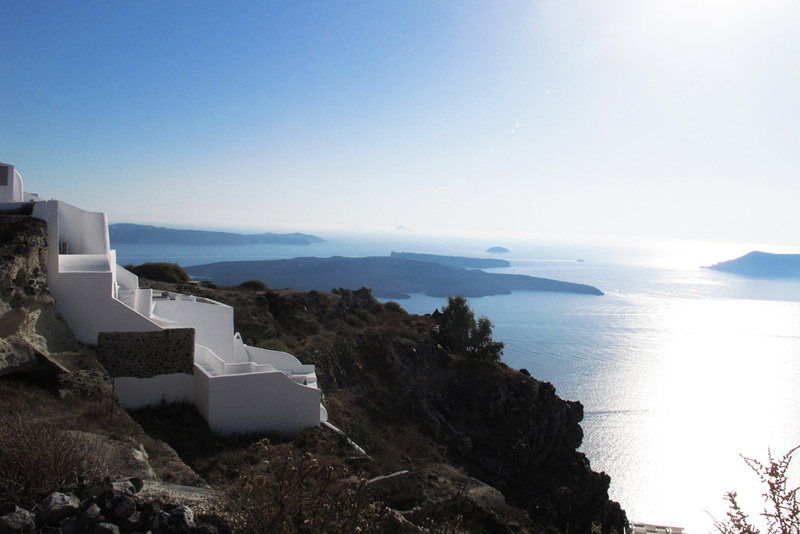 *Santorini was a destination on The Trip – TravelShus’ year-long RTW honeymoon. 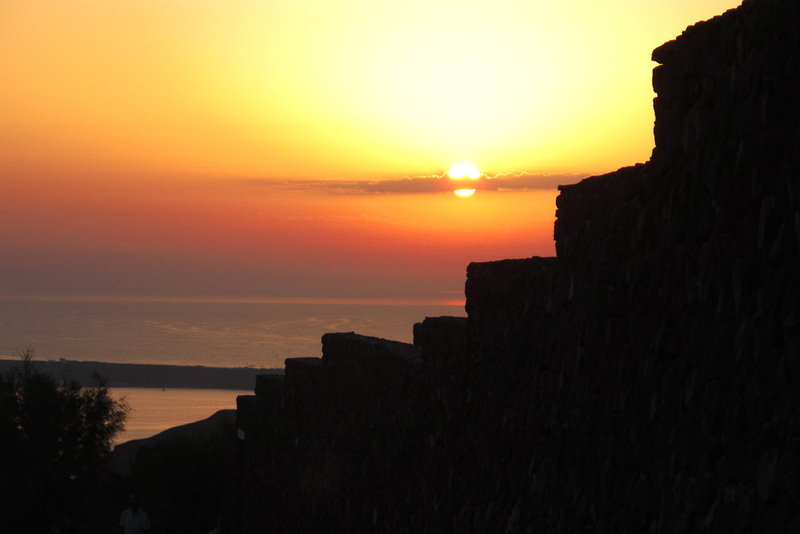 Lovely shots – I’m heading out to Santorini this June and can’t wait – it’s only a short stop but I can already tell that I’ll want to get back there and spend more time exploring! you will love it there. And definitely do the hike if you have time. 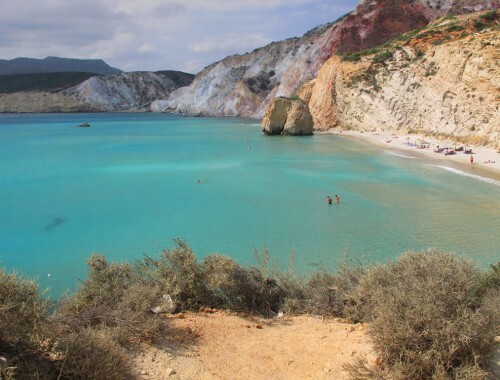 It’s a great way to get away from the crowds and be alone with the island. Have fun! Oh the sunsets! Simply stunning..! 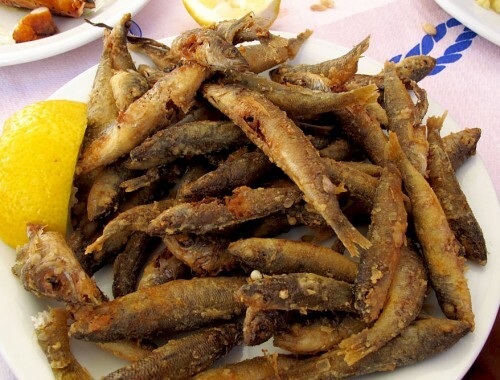 Santorini definitely has some of the best in the world! glad you enjoyed the hike as well!